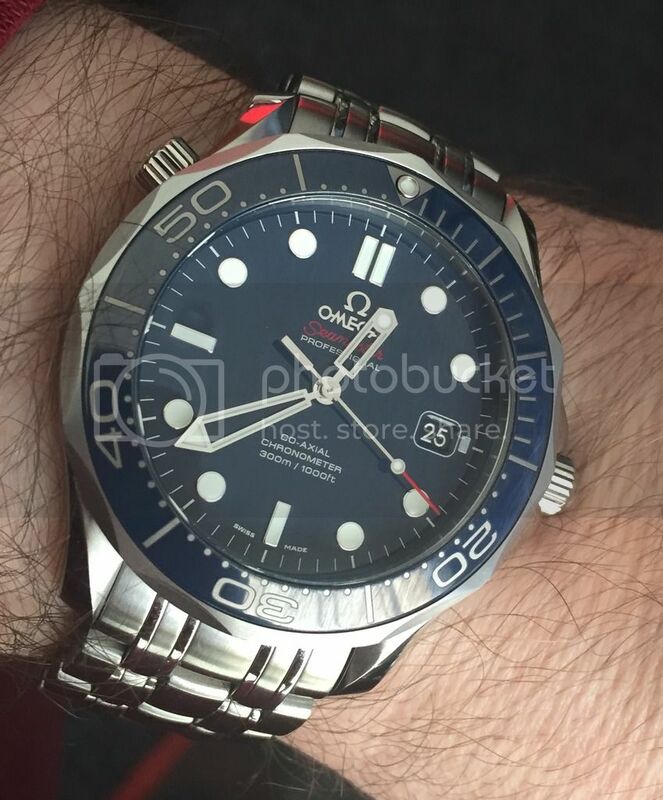 TimeZone : Omega » New Seamster 300 ceramic blue.. 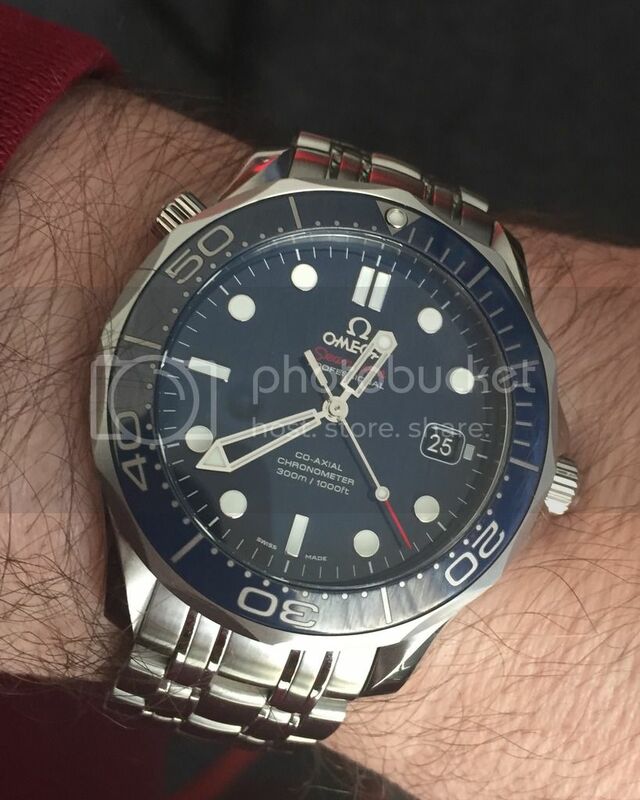 I used to own the Original Bond Seamaster when it was released around the mid-nineties, which after many years of use, sold and got the GMT co-axial version. 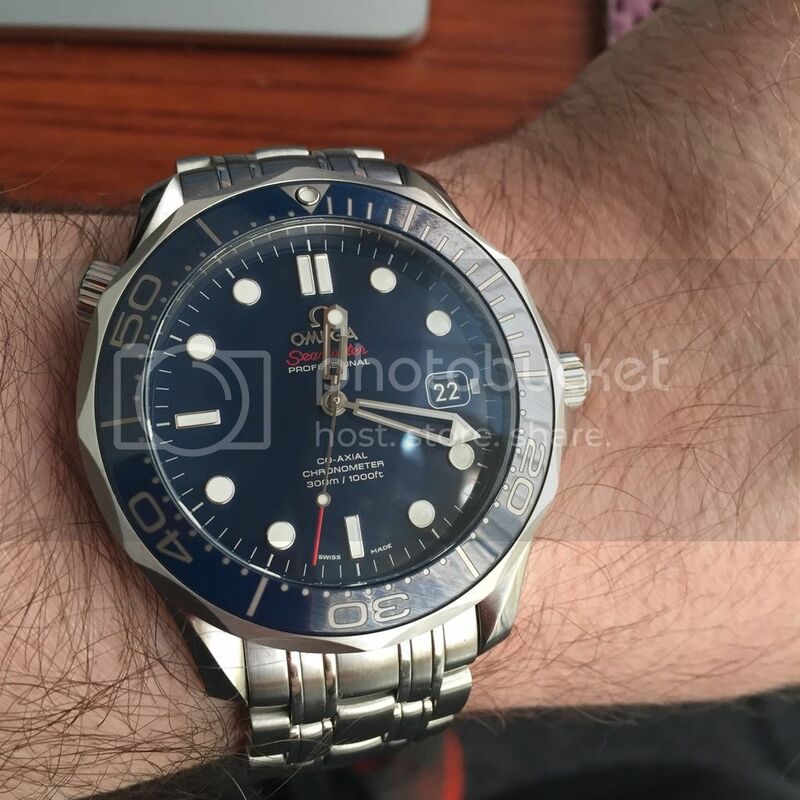 When the current ceramic version came out, I sold the GMT ( did not like the short hands, small markers) in order to get the new one. It was exactly when Omega started to change their policies and got rid of most of their distributors to be sold at Boutiques Only. I have been down sizing my watch collection for several years now. has been a long painful, sometimes even potentially dangerous experience. 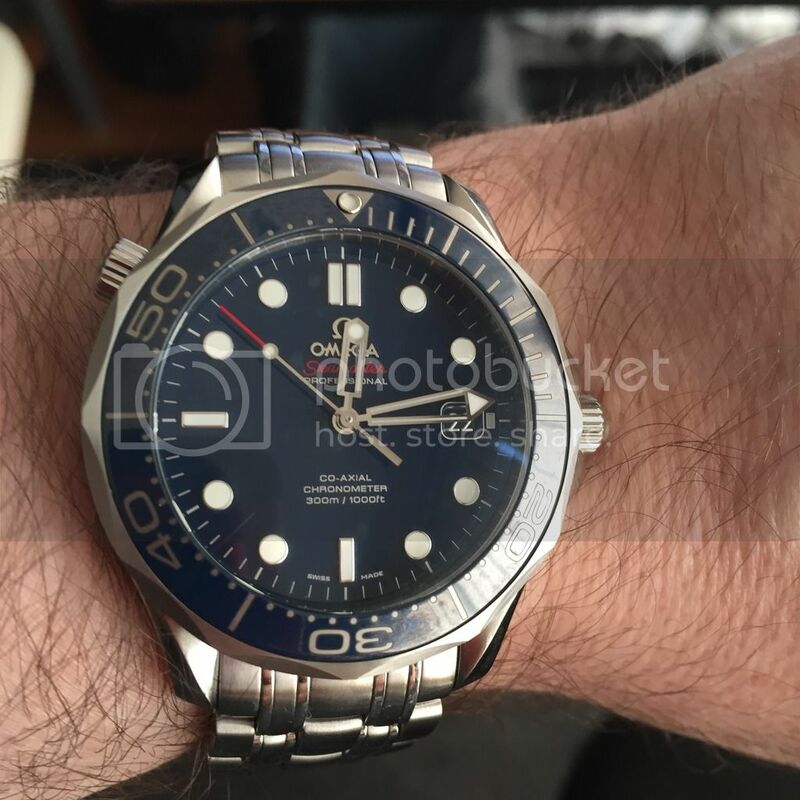 Recently sold my 45 mm Planet Ocean (2500 movement) because I am getting into that age where 45 mm watches look "strange" on me. So after several years of circling around this watch , got it 4 days ago. It is running spot on except when left at night with the dial up , it runs 2 seconds fast in 10 hours. Love how the glossy dial changes color from an electric blue to almost black depending light conditions. It is comfortable ( no bracelet micro adjustment though) and perfect size & thickness for my wrist size.